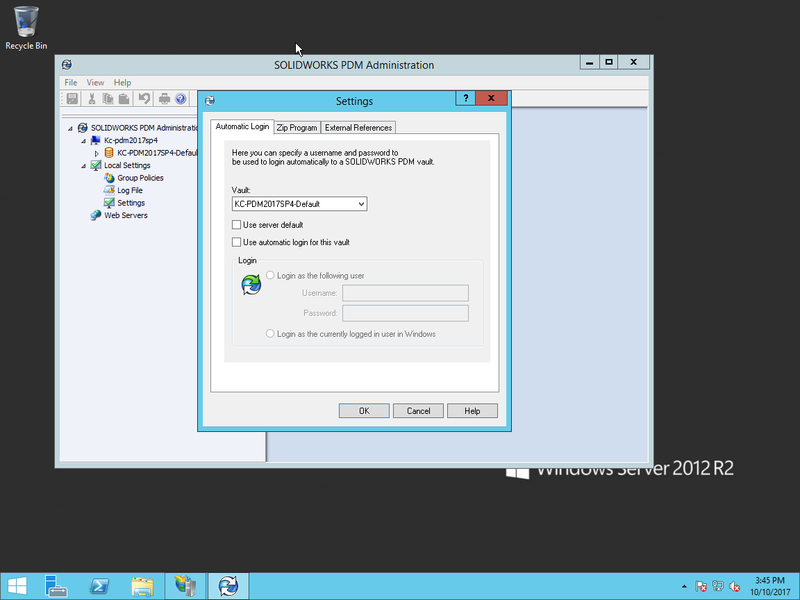 Have you ever selected a file in SOLIDWORKS PDM Web2 and the preview doesn’t appear and you get the spinning wheel? This is typically caused by incorrectly configuring Web2. One of the most common issues that occur when implementing Web2 is that the preview does not appear or the login page appears after selecting a file. 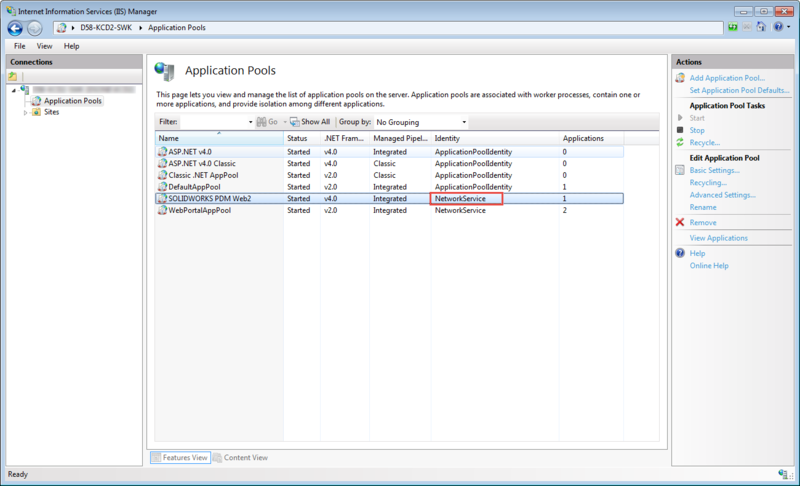 This is likely due to the incorrect identity set in the ‘SOLIDWORKS PDM Web2’ Application Pool of Microsoft Internet Information Services (IIS). If the permissions are incorrect, the Web2 application is not able to copy the file from the PDM vault to the web server, which means you will not be able to get the file. When Web2 is first installed, the Identity is set to NetworkService. You must change it to a user account. 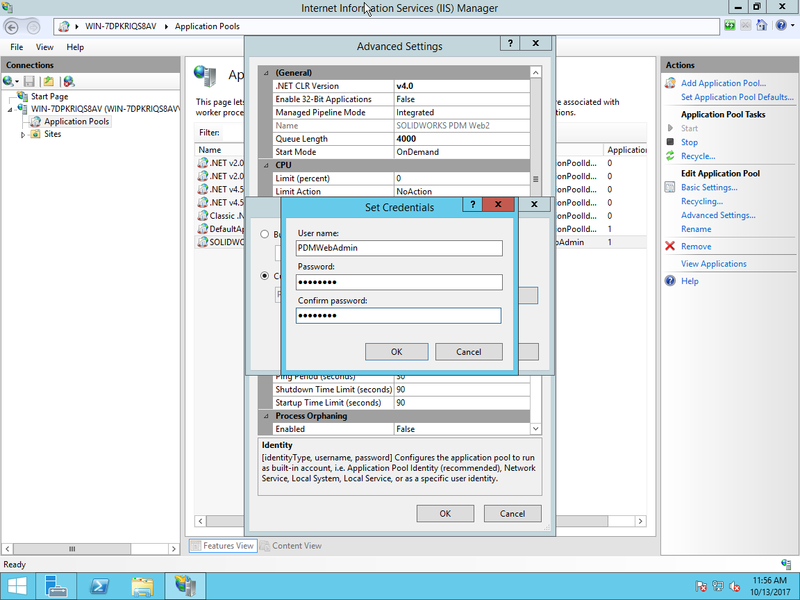 This user account must be part of the IIS_IUSRS group in the Windows Server and have logged into the server. Select Custom account and set the credentials of the user account that you are using for the web server. After an upgrade of Web2, the Identity of the Application Pool will automatically get reset to NetworkService. You will need to change it back to use the user account. The password of the user account changed or expired. The application pool identity will need to be updated with the correct password. The login settings of the local vault view are using Automatic Login. You will need to disable the settings “Use server default” and “Use automatic login for this vault” from the Administration tool and Settings. To make sure Web2 is installed and configured correctly, please refer to the PDM Installation Manual. Last month, Brian discussed the topic of Shell strategies. This month, it is Omar’s turn. He talks about Productivity Tools. Next month, Reza will discuss the topic of Reports. How does SOLIDWORKS® Visualize on a SolidNetWork Licensing (SNL) client machine determine whether to use a license for SOLIDWORKS Visualize Professional or Standard, or one from SolidNetWork Licensing? SOLIDWORKS® Visualize acquires a license based on the ‘License Order’ on the ‘SolidNetWork License Manager client’. To change the SOLIDWORKS Visualize license order, follow the instructions in Solution Id: S-073419. In SOLIDWORKS® Inspection Standalone, is it possible to add a SubType list for characteristic custom properties? In SOLIDWORKS® Inspection Standalone, you can add a SubType list by editing the ‘InspectionLists.xml’. For detailed instructions, see Solution Id: S-073319. Can I use Product View (Creo® View) Express to view a Pro/ENGINEER (Creo) model with a complex structure and referenced components located in different folders (also Library folders) in a SOLIDWORKS® PDM vault? The Product View Express (Creo View Express) application can only preview models for which all components are located in the same folder as the top assembly. As a possible solution, you can use .pvz format file, which is a viewable copy of the Pro/ENGINEER model. This file must be created in the Pro/ENGINEER application, after which it can be previewed in Product View Express. For more information, see Solution Id: S-073304. Why do I receive the ‘Problem is too large for the Direct Sparse solver. Try running the problem with other solvers’ error even though I am using ‘Offloaded Simulation’ or the ‘Intel Direct Sparse’ solver? If the problem is too large, the ‘Intel Direct Sparse’ solver may overflow some integer limits while performing the calculations. This is similar to the ‘Direct Sparse’ solver, and typically occurs with a large number of Degrees of Freedom (DOF). For more information, see Solution Id: S-073313.